Victoria, B.C. : Orca Book Publishers, 1992. Book. Near Fine. Trade Paperback. First Thus.. 178 pp. Close to new. Tiny slash mark on top edge near spine, no other markings. Spine uncreased. Fold-in cover flaps. A collection of short stories about fly fishing on rivers in Canada, US., Spain, Iceland and elsewhere. Size: 8vo -- 9 in Tall. Birmingham, Ala.: Menasha Ridge Press, 2009. Book. Near Fine. Trade Paperback. By Author. First Edition.. 248 pp. Lightly thumbed. Signed by author on title page, along with emoticons for peace, smiley face and Appalachian Trail logo. A readable, humorous tale about running a hiking supply store in the Georgia woods along the Appalachian Trail. Includes b&w photos of hikers. Porter left urban life at age 35 to go into the woods and take over the venerable Mountain Crossings retail outlet. Size: 8vo -- 8.5 In. Boulder, Colo.: Velo Press, 1999. Book. Near Fine. Trade Papeback. 1st Paperback Edition.. 322 pp. Close to new, no markings, spine uncreased. With charts, photos, reading lists and glossary. 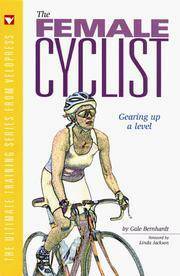 Part of the "Ultimate Training Series from Velo Press." Pointers for the woman bicyclist who wants to become more serious about endurance and perhaps get involved in racing. Special features include a section on bike fit for females and constructing a training plan; also tips on biking comfort. Size: 8vo -- 9 in Tall. NY: World Publishing Co., 1968. Book. Illus. by Allen, Douglas. Very Good +. Cloth. Reprint.. 480 pp. on coated paper. Small white rubbed scar on front cover, wrinlkle on spine cloth. Else close to fine. No marking in text, binding sturdy. Comprehensive guide to salt and freshwarter game fish, along with commentary on their habits, migrations, preferred bait and other fishing pointers. Color illustrations for the main species. An OUtdoor Life Book. Size: 12mo -- 7 in Tall. NY: Alfred A. Knopf, 1971. Book. Illus. by Franks, Vanna. Very Good +. Cloth. 12th Printing.. 353 pp. Book is very clean, tight, and only slight wear. DJ has chips and wrinkles. No markings in text. Sierra Club calls this "probably the definitive work on camping and hiking." Written in a first-person, highly anecdotal style that draws the reader in and makes him browse the extra mile. Hiking metaphorically described as moving a house over distance. With details about "the bedroom, the kitchen, the bathroom," etc. Fletcher explains the pros and cons of his various recommendationss, helping the reader make intelligent choices about risks of being unprepared versus excessive cargo. Quite a bit of detail about nutrition and food supplies. Index plus appendices, including a list of backpacking supply houses. Size: 8vo --8.5 In. NY: Sports Illustrated, 1991. Book. Very Good. Trade Paperback. First Edition. 8vo-- 9 in Tall. 255 pp. Glossy color photo cover. Thumbed. Text clean, binding firm. With reading list, glossary. 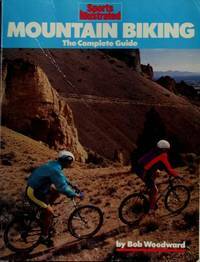 A readable introduction to mountain biking. Part of a Sports Illustrated series..
Asheville, North Carolina: Citizens-Times Publishing Co., 1982. Book. Very Good +. Illustrated Boards. By Author. 4th Printing.. 246 pp. Bright, square, almost new, slight rounding of corners. No jacket. Yellow front cover shows a sketch of a mountain man leaning against a stump, whittling a piece of wood. 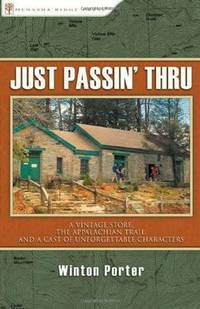 A selection of columns about mountain life in western North Carolina. Originally written in 1955 by newspaperman John Parris. Printed at Kingsport Press in Kingsport, TN. Legiibly signed in black marker on front endpaper. Size: 8vo --8.75 in Tall. Birmingham Ala.: Menasha Ridge Press, 1987. Book. Near Fine. Trade Paperback. Stated First Printing.. 127 pp. with bibliography, index, numerous maps. Light edge rubbing; no markings, spine uncreased. A summary of 41 trails in all parts of Florida. 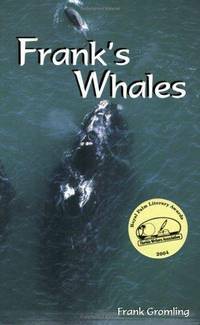 Includes pointers about special features, wildlife to spot, trail length, access, level of difficulty, etc. Some of the venues included: Blackwater River State Forest; Osceola Natl Forest; Withlacoochee State Forest; Ocala Natl Forest; St. Mark's Natl Wildlife Refuge; Merritt Is. Refuge; Wekiva Springs; Everglades; Fort Clinch; Bulow Creek; Lake Kissimmee; Sanibel-Captiva; Big Cypress. Size: 8vo -- 9 in Tall. Somersworth, N.H.: New Hampshire Pub Co, 1979. Book. Very Good +. Trade Paperback. First Edition.. 143 pp. Close to new, no spine creasing, no marking, text still bright. With several maps, b&w photos. A guide to cross-country skiing in the southern Adirondacks, the Albany area and the Tug Hill Plateau. Authors are long-time outdoorsmen active in the Adirondack Mountain Club. 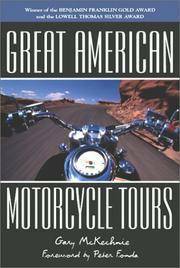 Book includes info on driving and parking; weather tips, historical lore. Size: 8vo -- 8 in Tall.